I am so sorry for the absence this month- it's for a good cause though- I am creating tons of fresh, new artwork for the upcoming months and have some GREAT projects to show off for August. Since it's all new product from the upcoming Annual Inspirations 2014-15 catalog, I am saving the photos for the big release! 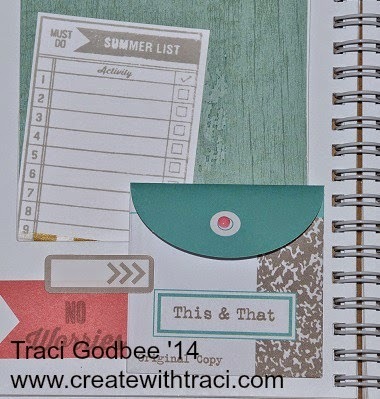 Check back July 31 for my August Stamp of the Month post! 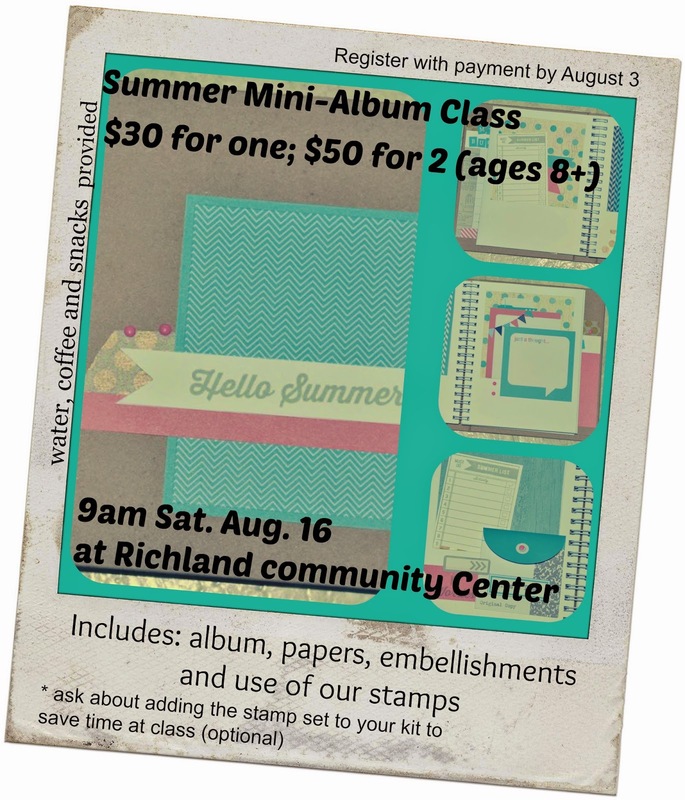 In the meantime- here's some photos of a class I have coming up August 16 at the Richland Community Room in Richland, MI. Class is $30 each OR bring a friend and each pay $25! snacks , coffee and water included as well as all your fantastic supplies. 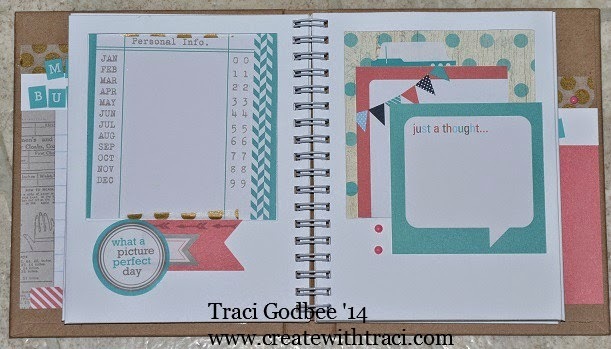 This is just a sampling of pages- there are lots of great places for your summer photos. This class is appropriate for ages 8+ so feel free to bring your children and get the $5 discount per person! 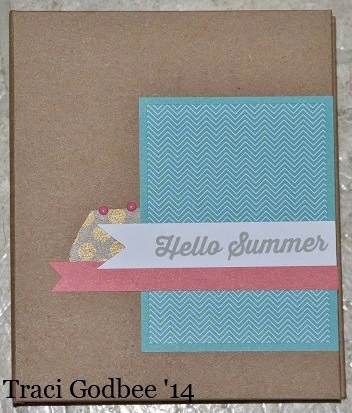 RSVP due no later than August 3rd so supplies can be ordered and prepped. e-mail me by clicking here.